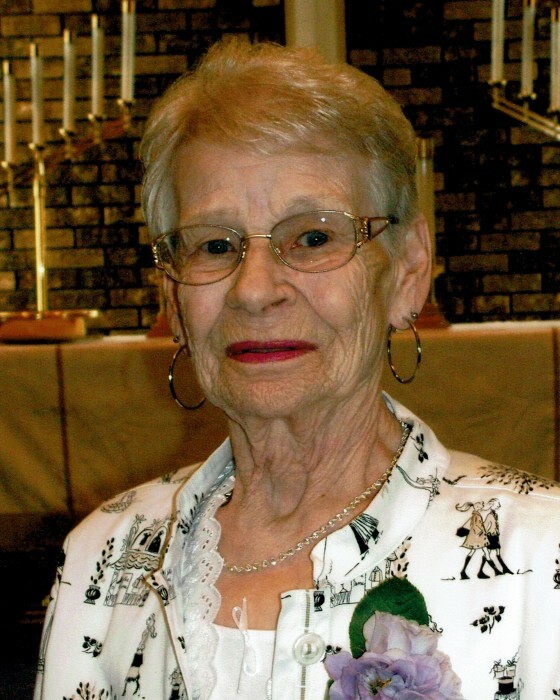 Maxine June Mittag, age 89 of Perham, MN passed away Thursday, November 1, 2018 in Sanford Medical Center, Fargo, ND. Maxine was born June 3, 1929 at home near Rothsay, MN to Jacob and Ella (Baumgartner) Rinnels. She married Roy Mittag on April 16, 1949 in Wahpeton, ND. They resided in Breckenridge, MN until the spring of 1957 when they moved to Rush Lake, near Perham. It was at Rush Lake where Maxine and Roy raised their family of six children. Maxine worked summers at Shady Grove Resort and in her later years worked for the Ottertail Lions Club. Maxine will be remembered as an excellent cook and baker. She enjoyed sewing, knitting beautiful afghans and sweaters, crocheting countless dollies and making many quilts for her family. When she wasn’t doing crafts, Maxine spent her time bowling, playing cards, traveling, dancing and reading. Preceding Maxine in death were her parents; her husband Roy in 1987; and her three siblings. Surviving Maxine are her children Sandy (Richard) Schultz of Frazee, MN, Gloria (Roger) Muth of Bemidji, MN, Dean (Lori) Mittag of West Fargo, ND, Leona Mittag of Bismarck, ND, Sharon (Tom) Kimmes of New York Mills, MN and Lynn (Gracie) Mittag of Renton, WA; 13 grandchildren; and 17 great-grandchildren. Per Maxine’s request, no funeral will be held. In lieu of flowers, memorials are preferred to the donor’s choice. A gathering of friends and family will be held from 2:00-4:00 p.m. followed by a prayer service at 4:00 p.m. on Sunday, November 18, 2018 at Schoeneberger Funeral & Cremation Service in Perham.